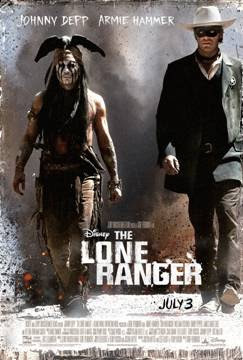 From producer Jerry Bruckheimer and director Gore Verbinski, the team behind the blockbuster “Pirates of the Caribbean” franchise, comes Disney/Jerry Bruckheimer Films’ “The Lone Ranger,” a thrilling adventure infused with action and humor, in which the famed masked hero is brought to life through new eyes. Native American warrior Tonto (Johnny Depp) recounts the untold tales that transformed John Reid (Armie Hammer), a man of the law, into a legend of justice—taking the audience on a runaway train of epic surprises and humorous friction as the two unlikely heroes must learn to work together and fight against greed and corruption. 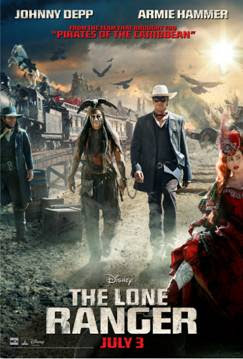 “The Lone Ranger” also stars Tom Wilkinson, William Fichtner, Barry Pepper, James Badge Dale, Ruth Wilson and Helena Bonham Carter. I took my 10.5 yr. old daughter, Katelyn, to a pre-screening at the Emagine theater in Novi, MI. She loves horses, Disney movies, and the wild west. She really enjoyed all the silly horse scenes and laughed at the funny parts of the movie. I don't recommend this movie for kids younger than 10. There was one part in the beginning that made Katelyn jump and one point where she looked away because the bad guy was about to do something terrible. They didn't show it on screen, but the blood was bad enough. There was also some mild language. I have loved Johnny Depp and Helena Bonham Carter in every movie they are in. So, of course, I enjoyed their performances in this movie. There was plenty of action, humor, and even some sad moments. 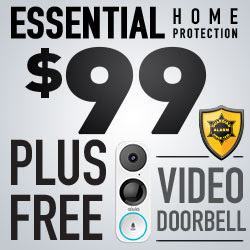 The part I liked the best is the way they tied everything up at the end. 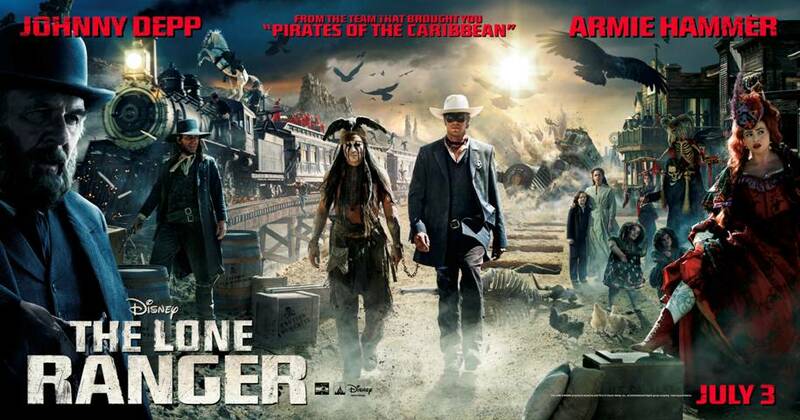 Make sure to see THE LONE RANGER riding into theaters on July 3rd!